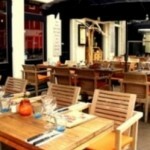 Not far away from the Gauchos restaurant located in Spuistraat the restaurant Toro Dorado is located. This is a fine and a little bit exclusive restaurant in Amsterdam, serving Argentinian steaks and meat of highest quality. The restaurant is proud to be one of the few restaurants in the world serving Wagyu beef from Japan. I’ve just tried Toro Dorado, it looks small on the outside, but big and cozy on the inside. 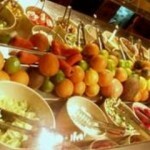 The service was great, with great recommendations. I was recommended and tried the golden triangle, which supplies you with 100g of wagyu tenderloin, scottish and argentine tenderloin. This was a really perfect meal. With the wagyu definately up to standard as my favorite. I think next time i’ll try a bigger one or try the fresh canadian bison they are now supplying. The quantity and quality of meat, has to be the best in amsterdam. So i recommend next time your in amsterdam, go and taste the flavour of Toro Dorado.